This year was a dark, cold, snowy, miserable, endless no-good winter in the eastern United States. It was even the worst in living memory in the mountains of Virginia where I live most of the time. In mid-January my daughter Lucy called from sunny, drought-ridden Northern California and said: "Mom, it's time you thought about moving back out here -- and," she added, "you could help out with Kevin." That's the five-year-old grandson. Lucy was worried that the long day of Kindergarten (the new First Grade) plus the After School program until 6 pm was too much. By the end of the day, he was tired and cranky. With her job at Stanford, she couldn't give him the breaks he needed. His lawyer dad works in San Francisco, with many late nights. Would I come out for a few months, she asked, and, for two days a week, take Kevin home in the middle of the day after Kindergarten ended? I can do my writing and editing work from anywhere. They'd fix up the downstairs bedroom for me. Kevin and I could go on expeditions to the many terrific activity sites around the Peninsula, below San Francisco, where they live in a small, cozy little town rather like Irvington-on-Hudson, New York, the one Lucy grew up in. I could see if going right back where I started from, California, made sense. My son Will, who recently moved to Oakland from New York, volunteered to come over for one afternoon a week and spend the night. It was the first time my two children were living near each other since high school. And they are both so much nicer than they were then. So, they tell me, am I. How could I say no? So, like thousands of boomer grandparents right now across the country, I said Yes and flew out to California on Valentine's Day. We're eight weeks into our Experiment. After a sharp learning curve for me -- it's been awhile since I ran around after two small children -- it's working. Bless my son-in-law, Rob, for putting up with all this in-law family running in and out of the house pretty much all the time. There are lots of cousins, aunts and uncles in Northern California, too. Lots. In fact everybody in my family is here now except me. I'll be posting more updates in the weeks ahead. Meanwhile, look at the photograph above, taken on Kevin's first day of T-Ball. Who would want to miss that? Not me. 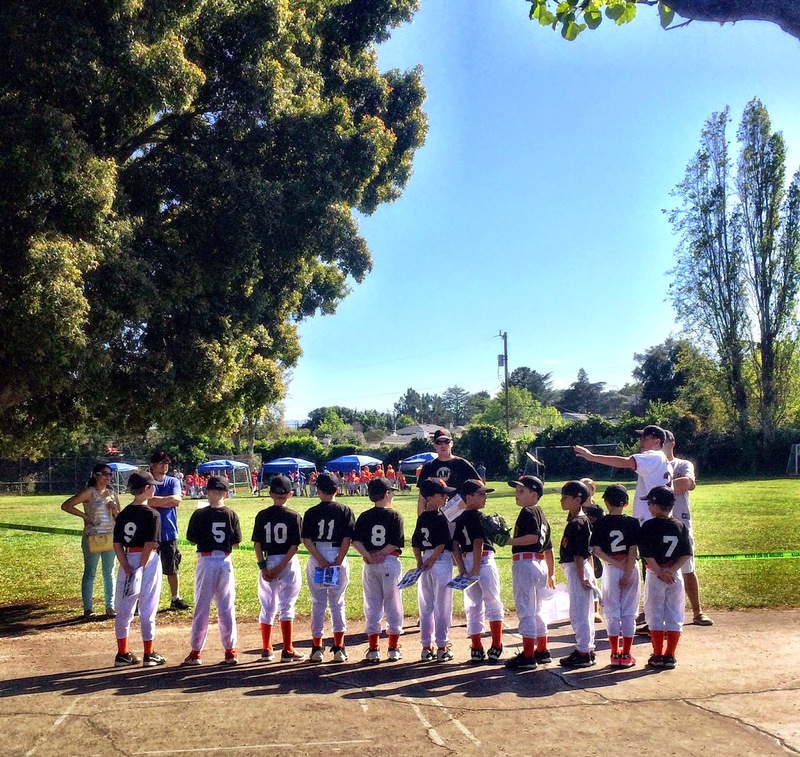 Instant Gratification: Put me in, Coach!